Wilmington Friends is pleased to host a free morning program each Thursday for children 18-36 months and their parents/caregivers. Beginning 10/4/18 ! 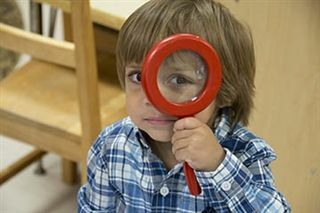 The Learning Lab is located at the Friends Lower School and is led by an experienced early-years teacher. Due to popularity, we now offer two sessions: Thursday mornings, from 9:30 to 10:30 a.m. or 10:45 to 11:45 a.m. The Learning Lab is taught by WFS preschool and pre-kindergarten Music and Movement teacher Liza Conces. Liza has been a teacher and teacher trainer in Early Childhood Education for 12 years. 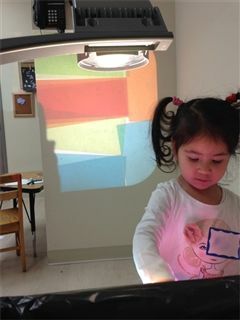 Her focus is on play-based learning and joyful exploration for both children and parents/caregivers. Current sessions run through 3/7/19. Classes fill up, so please pre-register by contacting Melissa Brown at 302.576.2932 or mbrown@wilmingtonfriends.org. PLEASE NOTE: There will be no sessions on January 10, 2019. From I-95 N, exit onto Route 202 S; take right at light onto 202 S/Concord Pike; take right at first light onto Broom Street; continue on Broom Street to the “T” at 18th Street; take right onto 18th Street; 18th Street will go under the railroad overpass and curve to the left; make a right at the traffic light onto Augustine Cut-off and continue up the hill to the first traffic light; make left onto Alapocas Drive; the WFS Middle/Upper School campus is at the intersection of Alapocas Drive and School Road. Continue on Alapocas Drive, crossing School Road and past the athletic fields; make left at stop sign onto Granite Road; stay to the right when the road splits, leading directly to the Lower School campus. From I-95 S, exit onto Route 202 S; stay to the right merging onto 202 S/Concord Pike; take right at first light onto Broom Street; continue on Broom Street to “T” at 18th Street; take right onto 18th Street; 18th Street will go under the railroad overpass and curve to the left; make a right at the traffic light onto Augustine Cut-off and continue up the hill to the first traffic light; make left onto Alapocas Drive; the WFS Middle/Upper School campus is at the intersection of Alapocas Drive and School Road. Continue on Alapocas Drive, crossing School Road and past the athletic fields; make left at stop sign onto Granite Road; stay to the right when the road splits, leading directly to the Lower School campus. From 202 S, exit right onto Augustine Cut-off (just south of Fairfax) and proceed through the round-about and through one traffic light; make right at the next traffic light onto Alapocas Drive; the WFS Middle/Upper School campus is at the intersection of Alapocas Drive and School Road. Continue on Alapocas Drive, crossing School Road and past the athletic fields; make left at stop sign onto Granite Road; stay to the right when the road splits, leading directly to the Lower School campus. Take Route 52 S through Greenville; follow signs for Route 141 by turning left onto Montchanin Road, then a right onto Barley Mill Road; cross the Tyler McConnell Bridge; turn left at the end of the bridge onto Powder Mill Road; travel 0.6 miles and take right onto Alapocas Drive; proceed through Alapocas Woods to Granite Road. At the intersection of Alapocas Road and Granite Road, turn right onto Granite Road; stay to the right when the road splits, leading directly to the Lower School campus.